THE family of long-time local horse trainer Danny Bowen plans to establish a foundation in his memory after his life support was turned off at Lismore Base Hospital last Friday night. His death comes after a long battle with severe depression and his family believes there is not enough support available for people in the racing industry who have the condition. "Dad was in severe pain because of the depression and desperately wanted help but he couldn't get the support he needed," his daughter, Brooke Bowen, said yesterday. "We don't want Dad's death to be in vain. "We want to establish a foundation in his name so that people in the racing industry - particularly trainers, strappers and jockeys - can get help when they need it. "We need people giving that help who understand the racing industry and know what people in this industry go through. "It is a very hard game. "Once everything settles down we will look at the mechanics of setting it all up." 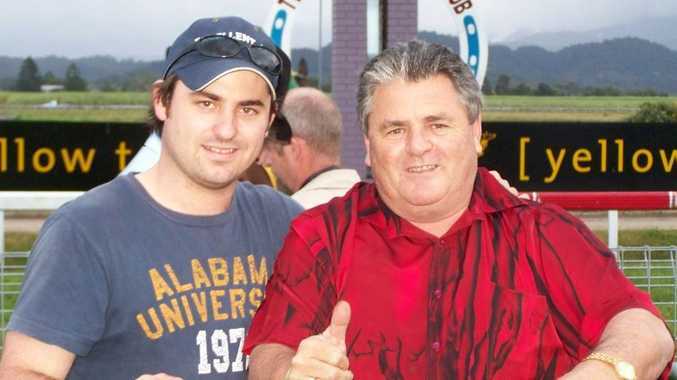 Danny Bowen's funeral will be held at the Ballina race course, possibly early next week. It has had to be delayed until a post mortem is completed. "Dad's heart and soul was in Ballina and he loved that race course," Brooke said. "It is the appropriate place to hold it." Danny Bowen trained for most of his career out of Ballina before recently moving his stable to Lismore. He was planning to retire at the end of this season and hand over to his son and foreman, Daniel, who is applying for his licence. The horses are being transferred temporarily to fellow Lismore trainer and long-time family friend Jennifer Smith until Daniel Bowen secures his licence. Recently, Victorian-based Caulfield Cup-winning trainer Tony Vasil publicly admitted to severe depression and sought help in North Queensland. "It doesn't matter how successful you are, the pressures as a trainer can still wear you down and, in Dad's case and again in Tony Vasil's case, lead to severe depression," Daniel said. "It was the pressures that wore Dad down. "No one realises how much pressure trainers are under, particularly country trainers." Danny Bowen is survived by his wife Shelley, children Daniel, Brooke and Leanne, and eight grandchildren.